12/3/2014Medical Humanities and Health Studies Seminar: Is mHealth the Future of Healthcare? In a university-wide letter on Nov. 18, IU President Michael A. McRobbie outlined the many recent accomplishments of the IU School of Medicine, including the opening of the IU Neurosciences Research Building, a record-breaking year for research funding, ongoing plans to create a health sciences campus on the site of the former Wishard Hospital and an ambitious agenda for health care-related education. To read the complete President's Update, visit the Office of the President website. The Prevention and Recovery Center for Early Psychosis at Eskenazi Health, which has a strong partnership with the IU Psychotic Disorders Program in the Department of Psychiatry at the IU School of Medicine, will expand the size of their groundbreaking early psychosis center at the Sidney & Lois Eskenazi Hospital. A $427,000 grant from the Center for Mental Health Services, Substance Abuse and Mental Health Services Administration, or SAMHSA, will double the size of Eskenazi Health Midtown Prevention and Recovery Center for Early Psychosis. The expansion grant is part of the Block Grant for Community Mental Health Services from SAMHSA that was awarded to the Indiana Family and Social Services Administration. Eskenazi Health Midtown PARC, which opened in 2009, provides treatment to patients ages 14-35 who have had the onset of psychotic symptoms within the past two years. The center serves as Indiana’s first center for clinical, research and educational advancement in the treatment of individuals in the early stages of schizophrenia and other psychotic illnesses. Early, intense treatment can potentially avoid some of the negative associated outcomes of these conditions. "This additional support will allow us to greatly expand our outreach by providing the staff and resources for us to serve additional patients," said Alan Breier, M.D., professor of psychiatry at the IU School of Medicine and director of Eskenazi Health Midtown PARC. "Our clinically specialized team is patient centered with a focus on early prevention and recovery." SAMHSA is an agency within the U.S. Department of Health and Human Services that leads public health efforts to advance the behavioral health of the nation. SAMHSA's mission is to reduce the impact of substance abuse and mental illness on America's communities. For more on the clinic's expansion, see the news release. The Metropolitan Indianapolis/Central Indiana Area Health Education Center, or MICI-AHEC, a regional program that recruits and retains healthcare professionals to work in underserved local communities, has relocated to the University of Indianapolis. MICI-AHEC is active in Marion and the eight surrounding counties, and is one of eight regional AHEC centers around the state. The Indiana AHEC Network, a public-private partnership that receives federal and state support to facilitate collaboration among community organizations and education and healthcare institutions, is housed at the IU School of Medicine. AHEC is dedicated to a special kind of workforce development based on research showing that health professionals tend to serve communities where they grew up and received their training. The MICI-AHEC office, and its seven staff members, is now located in the Fountain Square Center on Shelby Street, where UIndy shares space with community organizations. Kimberly McElroy-Jones, Ph.D., an adjunct lecturer in the Department of Family Medicine at the IU School of Medicine, will continue to serve as executive director of MICI-AHEC. Richard Kiovsky, M.D., professor of clinical family medicine at the IU School of Medicine, is director of the Indiana AHEC Network. InScope, the official weekly newsletter for faculty, staff, residents, postdocs and students at the IU School of Medicine, will not publish on Nov. 27 due to Thanksgiving. In addition, InScope will not publish on Dec. 25 and Jan. 1 due to the holidays. Please consider this publication schedule when submitting your news. The deadline for InScope submissions is 8:30 a.m. Tuesdays. Individuals may continue to submit their news to the IUSM Events Calendar and MedTV digital signage system as usual. For more information, contact scopemed@iupui.edu. IU researchers have identified two proteins that appear crucial to the development -- and patient relapse -- of acute myeloid leukemia. They have also shown they can block the development of leukemia by targeting those proteins. The studies, in animal models, could lead to new effective treatments for leukemias that are resistant to chemotherapy, said Reuben Kapur, Ph.D., Freida and Albrecht Kipp Professor of Pediatrics at the IU School of Medicine. The research was reported Nov. 13 in the journal Cell Reports. "The issue in the field for a long time has been that many patients relapse even though chemotherapy and other currently available drugs get rid of mature blast cells quite readily," Dr. Kapur said, referring to the cancerous cells that overrun the blood system in leukemia. "The problem is that the majority of patients relapse because they have remaining residual leukemic stem cells in the bone marrow that are resistant to currently available therapies, including chemotherapy," he said. In the Cell Reports paper, Dr. Kapur, first author Anindya Chatterjee, Ph.D., and their colleagues describe the mechanism that leads to the development of acute myeloid leukemia, identifying two proteins known as FAK and PAK1 as key to the process. In experiments with mice, the researchers showed that eliminating, or "knocking out," the genes that produce FAK and PAK1 prevented the development of leukemia in mice, even though their bone marrow stem cells contained the cancer-causing receptor mutations. The researchers also identified several drug compounds that target FAK and PAK1 -- now available for experimental use but not approved for use in humans -- that were just as effective in blocking development of leukemia as knocking out the FAK and PAK1 genes. The next step is to continue testing and refining those experimental drug compounds to verify their effectiveness for potential testing in human trials, Dr. Kapur said. Physicians counseling women faced with giving birth to extremely premature babies may be offering inconsistent and sometimes misleading information, according to researchers at the IU School of Medicine. In a simulation study involving 15 neonatologists and 16 obstetricians, a scenario was created in which the physicians met with "standardized" patients portraying pregnant women with ruptured membranes at 23 weeks' gestation. The researchers recorded the sessions and tabulated the physicians' numerical risk estimates and other statements. "The estimates provided by physicians varied substantially, and obstetricians and neonatologists used different terms to describe the chances of surviving without disability." said study author Brownsyne Tucker Edmonds, M.D., M.P.H., assistant professor of obstetrics and gynecology and a Robert Wood Johnson Foundation Harold Amos Medical Faculty Development Program scholar. The researchers said they believe that the varying estimates given by neonatologists were due to the inherent difficulty in offering precise survival estimates as opposed to lack of knowledge. Nonetheless, the researchers said, such differences are concerning and pose a threat to quality and patient-centered care. "We need to develop better tools and training to improve the quality of communication to women and families in these situations," Dr. Tucker Edmonds said. The results of the study were reported Nov. 17 in the early online edition of the Journal of Maternal-Fetal and Neonatal Medicine. A Regenstrief Institute and Eskenazi Health study reports on an innovative program that trains and supervises volunteers who act as advocates for adults and seniors who are unable to make their own decisions due to conditions like Alzheimer’s disease or coma, but have no family or friends to help them. 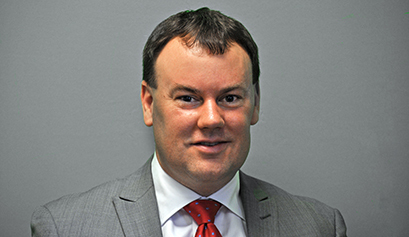 The study, which followed the first 50 patients in the Wishard Volunteer Advocates Program and recently appeared online in advance of publication in the Journal of the American Geriatrics Society, found that the program could serve as a national model to replace or complement the frequently overwhelmed guardianship services provided by state agencies from coast to coast. "A growing number of adults are all alone. The need for surrogate decision-makers is increasing as our population ages, as divorce becomes more common, as families are geographically dispersed," said Alexia Torke, M.D., associate professor of medicine at the IU School of Medicine and investigator at the Regenstrief Institute and IU Center for Aging Research, who is the study's senior author. "The default of the American medical system is aggressive care with its high personal and health system costs. The volunteer advocate model promotes thoughtful consideration of what is best for the patient." The founding director of the Wishard Volunteer Advocates Program is Robin J. Bandy, J.D., M.A., who was a co-author on the study. Additional authors were Greg A. Sachs, M.D., professor of medicine at the IU School of Medicine and an investigator at the Regenstrief Institute; Kianna Montz, M.A., and Lev Inger, B.S., of the Regenstrief Institute. 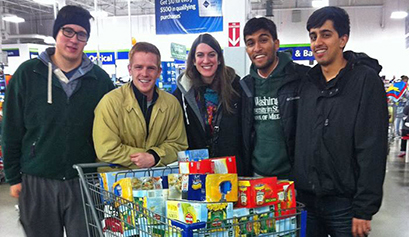 It's not too late to contribute to the IU School of Medicine-South Bend food drive. Collection will continue through Friday, Nov. 21. Food collection boxes are located in classrooms, the breakroom and in the hall near the drinking fountain in Raclin-Carmichael Hall. Canned goods with their labels removed and homemade goods cannot be accepted. Proceeds from the drive will go to the Northern Indiana Food Bank. Applications for the Indiana Clinical and Translational Sciences Institute predoctoral training awards are due Dec. 8. These awards are aimed at pre-doctoral students whose research is at any point along the translational research spectrum. Applicants must be in the second or third year of their pre-doctoral program and have co-mentorship by faculty investigators from at least two different disciplines. Complete application guidelines are online. To apply, visit the Indiana CTSI grants portal and enter your institutional username and password. Applications instructions are located under "CTSI Predoctoral Training Awards in Translational Research - 2014.12." Questions to Colleen Gabauer at cgabauer@purdue.edu or 765-496-1016. Nominations are sought for the Joseph Taylor Excellence in Diversity Awards. This award recognizes IUPUI individuals and programs that exemplify diversity in leadership, curricular transformation, promoting a welcoming campus climate, attracting a diverse population, or improving the IUPUI community through innovative curriculum, research programs or events. IUPUI Chancellor Charles R. Bantz will present the winners their awards at the 26th annual Joseph T. Taylor Symposium in February. Applications must include the application form; a letter of nomination; a description of the work, activity or project and its impact on diversity at IUPUI, including any supporting documentation; and three letters of support from colleagues, administrators or students. Nominations are due Wednesday, Dec. 10. For complete application guidelines, see the nomination form. Questions to Kim D. Kirkland, Ed.D., of the IUPUI Office of Equal Opportunity at affaindy@iupui.edu. Poster abstracts are sought for "Let's Talk Palliative Care: Comprehensive Car for Seriously Ill Patients, their Families and their Care Providers," a statewide conference sponsored by the Research in Palliative and End-of-Life Communication and Training (RESPECT) Center at IUPUI on March 6, 2015 at the Ritz Charles in Carmel, Ind. The conference will bring together health care clinicians and researchers to discuss best practices in palliative and end-of-life care. Speakers include William Brietbart, M.D., chair of psychiatry science and acting chair of the department of psychiatry and behavioral sciences at the Memorial Sloan Kettering Cancer Center in New York. Clinicians and researchers working in palliative and end-of-life care are invited to submit poster abstracts highlighting their clinical program, quality improvement projects, or research. Space will be available to display posters throughout the session. Up to 10 authors will be invited to briefly present their poster and respond to question from attendees during the morning concurrent session. Applicants must submit a 250-word abstract, including author names, position title, organization, phone number and email, to the RESPECT Center to respectc@iupui.edu (indicate RESPECT Conference Poster Abstract in the subject line). Complete submission guidelines are online. Accepted abstracts will be printed in the conference program. Depending on number of submissions, printing support may be available. Questions to Laura Holtz, RESPECT Center Program Manager, at respectc@iupui.edu or 317-274-9114. Beginning Dec. 1, Go Express Travel and IU will launch a new shuttle option for people traveling between IUPUI and IU Bloomington. The intercampus shuttle will make four trips from each campus Monday through Friday. Indianapolis stops will be at the IUPUI Campus Center and the Indiana Statehouse. IU Bloomington shuttle stops include the Indiana Memorial Union circle drive and northwest corner of Memorial Stadium’s Purple Lot (Gate10 off of the 45/46 Bypass). Open to IU faculty, staff, students and the general public, the Campus Commute Service shuttle will offer Wi-Fi, electrical outlets, reclining seats, a lavatory, DirecTV and Double Map -- a real time, bus tracking interactive map. Rides from IUPUI to Bloomington will begin at 8 a.m. and end at 7:30 p.m. Rides from Bloomington to IUPUI will begin at 6:30 a.m. and end at 6:20 p.m. A full schedule is online. Tickets can be purchased in advance for $7 one-way online and at the IUPUI JagTag Office. Tickets can also be purchased (with credit card only) on the bus for $10 one-way. Service is first come, first serve. Purchasing a ride card or ride voucher does not guarantee a seat. Riders are encouraged to arrive early.